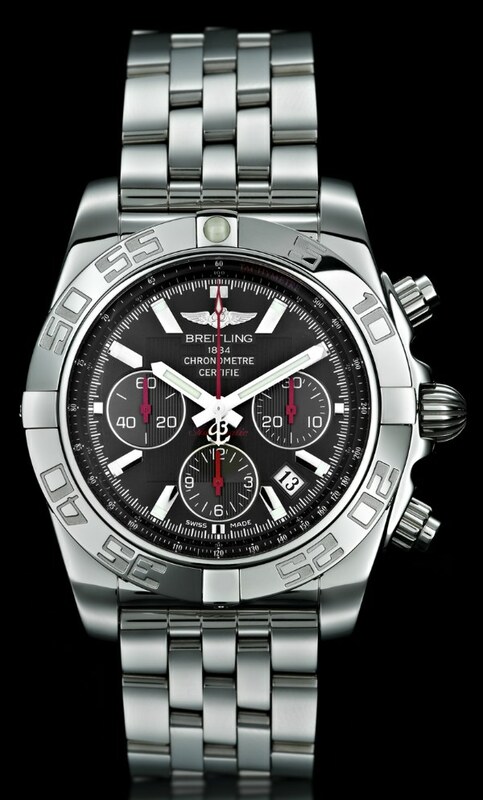 As an interesting limited edition watch for the United States, this Breitling Chronomat 44 watch will be limited to just 50 pieces and bear the Great Seal of the United States along with the message “Breitling for America. United We Stand” on the rear of the watch. A few years ago the Chronomat 44 watch came out and contained Breitling’s first in-house made movement called the Caliber 01 chronograph automatic. 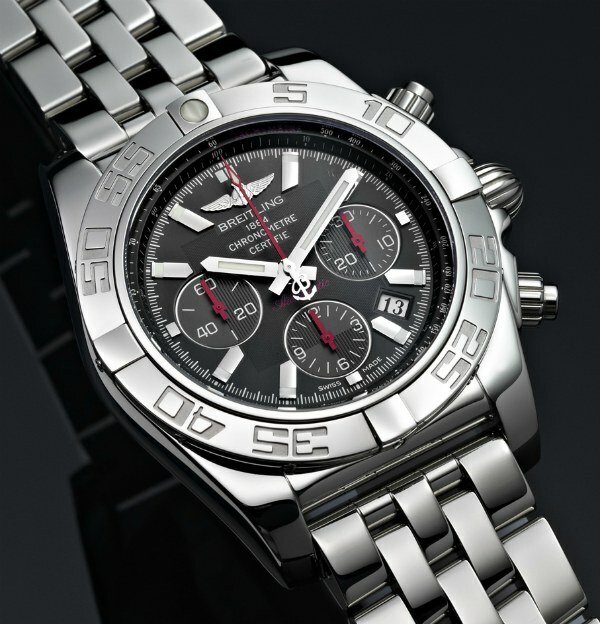 44mm wide and in Breitling’s lovely polished steel case, this watch serves as a fitting base for the limited edition. This model with its black textured dial and red accents is a real handsome piece. The case and dial design are aging very gracefully and this is truly a handsome piece. Breitling men’s watch is actually one of the only brands that does make watches simply too large for my wrists, and I almost never say that. This 44mm wide version of the Chronomat isn’t one of them however. Depending on who you are and your perception of the message on the rear of this watch you’ll either love it or hate it. When it comes down to it, this is Breitling banking on the power of iconography to push this piece to the patriotic US consumer. 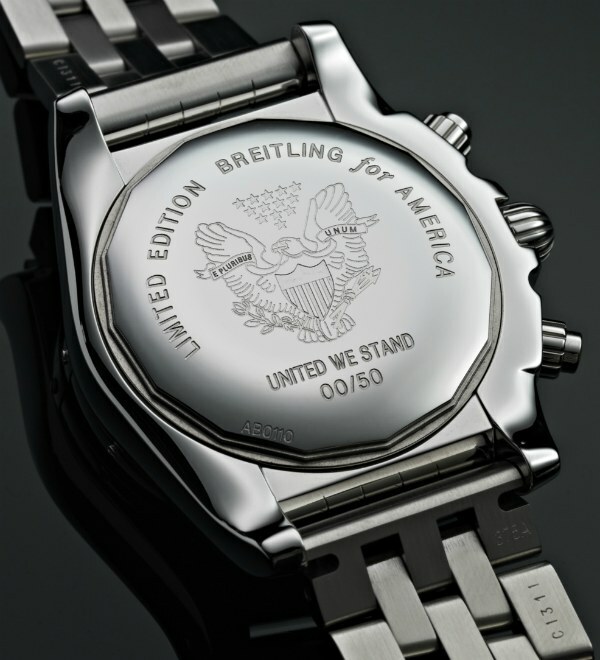 Would it be cool to have a Breitling watch with the Great Seal of the US on the back? Sure. Would I pay a handsome premium for it? Not sure. Another carrot is that sales proceeds of the 50 watches will go to benefit the Fischer House Foundation charity. The Fischer House Foundation is a charity that produces housing for the families of soldiers in the military who are receiving medical treatments. The housing is meant to be temporary housing for the families while they stay nearby VA centers and other military hospitals while their loved ones get care and treatment. It is a pretty legit foundation.